Wake up before everybody else, watch cartoons. Eat breakfast made by daddy. Run up the hill behind the house, still in nightgown, to play at friend’s house. 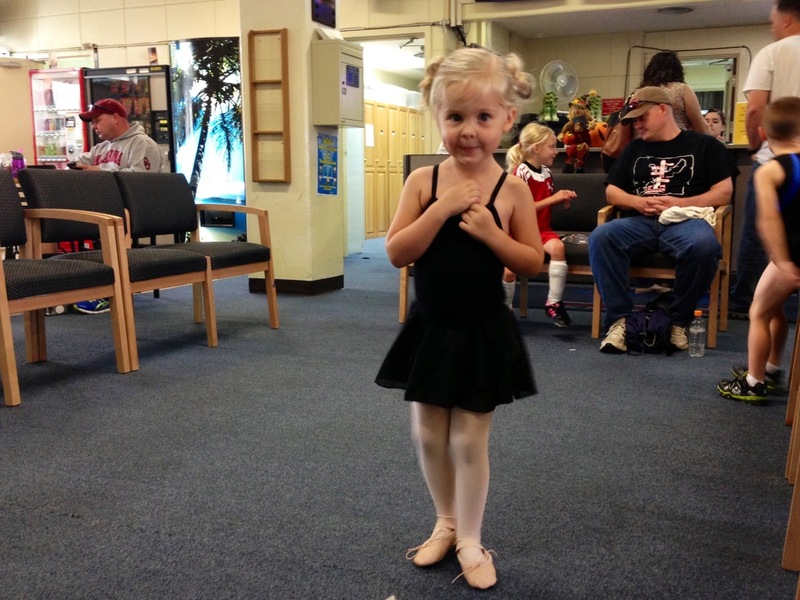 Come home, change into ballet clothes, go to ballet class. Come home, change into princess dress, eat lunch, quiet time. 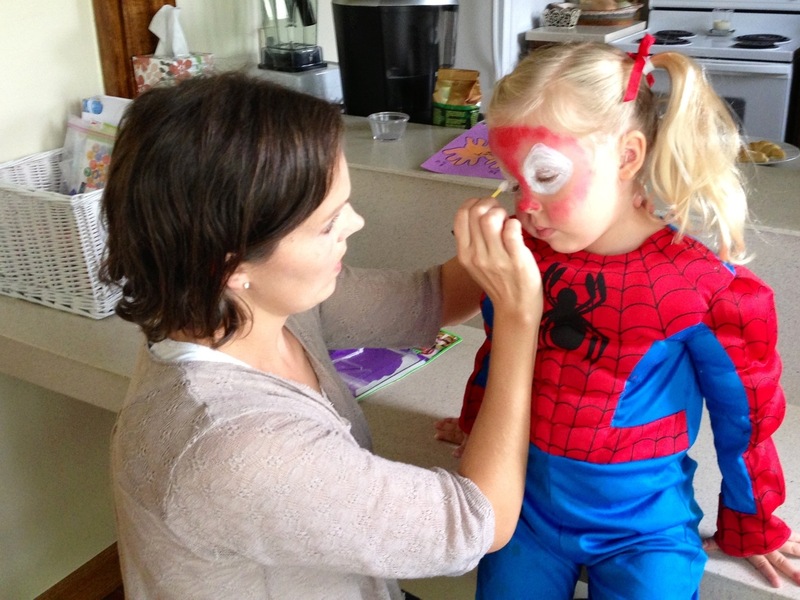 Change into Halloween costume, get face painted by mom, play in backyard with little brother. 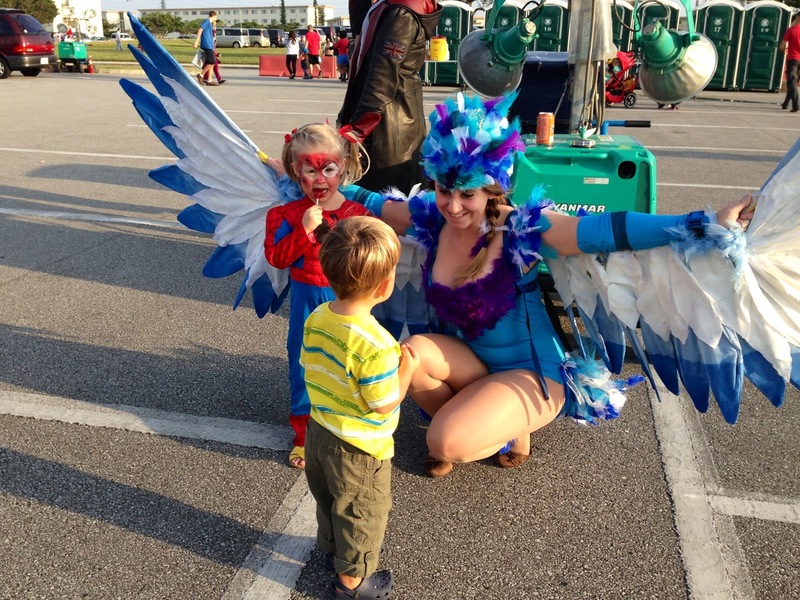 Go to Halloween festival, soak up the admirers, eat candy, run in the field, dance to the music. Come home for dinner and bedtime. It’s a tough life, Isla Jane. What a day, Isla Jane! Made me happy to see the sand/water table made it to Oki! 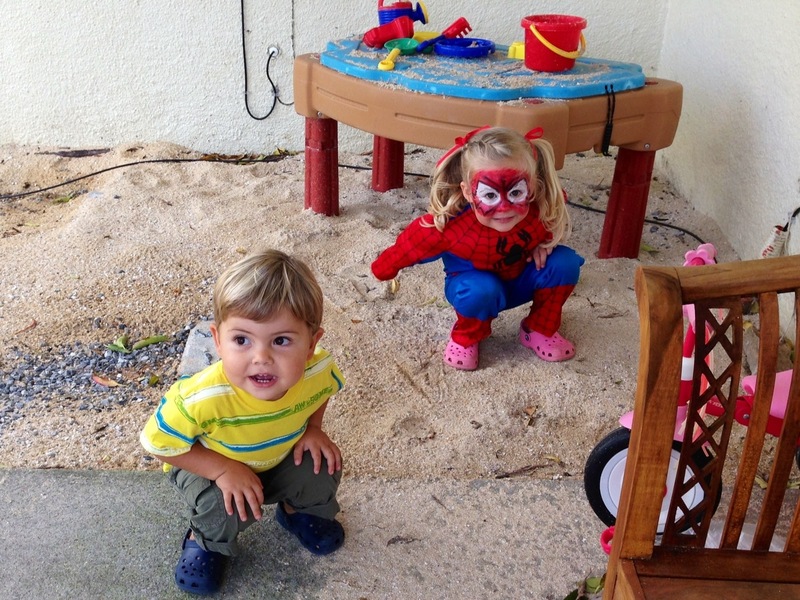 Love the pink crocs with Spidey Girl costume! 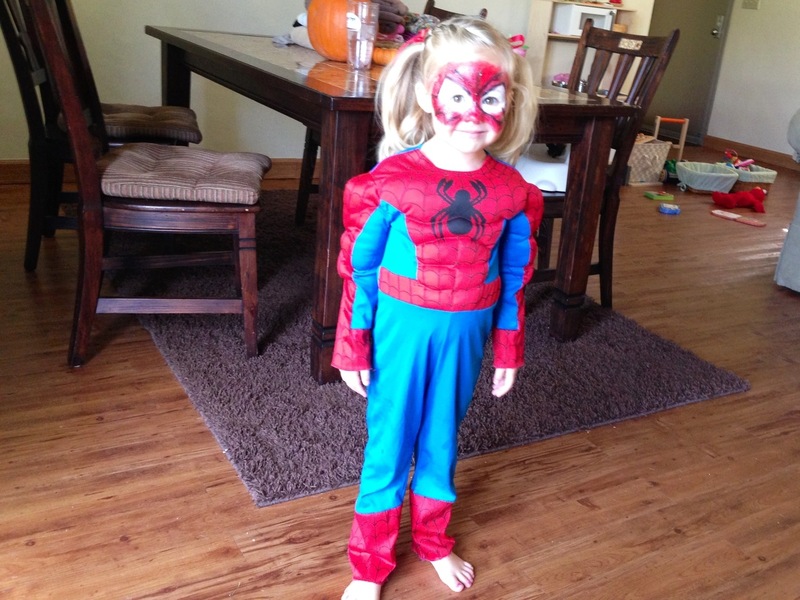 Spider Girl–hilarious gender bender😍😍. When does Goldilocks appear?